How to develop a home yoga practice…While attending a yoga class is wonderful, it is not always possible. Today, we will discuss how to start develop a home yoga practice when you do not have the time or resources to make it to your favorite class. There are many benefits to developing a home practice, including being able to practice more often and when it suits your schedule. Here is how to get started! Start Small. Consider setting an attainable goal, such as practicing for 20 minutes three times a week. Find an area in your home that you can set aside as a dedicated practice area- that can simply mean a spare room or your bedroom. Also, dedicate a specific time to your home yoga practice when you know you will be uninterrupted- perhaps before everyone else wakes up, or when no one else is home. Start Simple. A home yogpractice does not have to complicated. If you have been attending class, just practice a few of your favorite poses from class and end with a nice relaxation. There are also many resources online, including full yoga practices and yoga pose breakdowns. You do not even need to invest in props, as many things you already have around the house will work well as yoga props. A thick book works well as a block, and a pillow makes a great bolster! Invest in a Private Lesson. Consider asking your yoga teacher for a private lesson at your home. They can help you to figure out a routine that works specifically for you and that targets what you would like to work on. For example, if you want to practice in the morning, they can show up a few gentle warm ups and stretches that you can do before moving on with your day. Working one on one with a teacher means that you can really customize your practice and find a practice that is accessible, meaningful and fun for you! Interested in learning more about the benefits of yoga? Take a yoga class or a private yoga session at KareBoost Health, and learn how yoga can help you to feel better in your body. Let’s look at ways to help kids reduce stress. As a parent, you are probably well aware of the many stressors that your kids face. From pressure to do well in everything from school to sports to after school activities, today’s kids have a lot on their plates. Today, we will identify 5 actions you can take to help your kids reduce stress. Not All Stress is Bad. 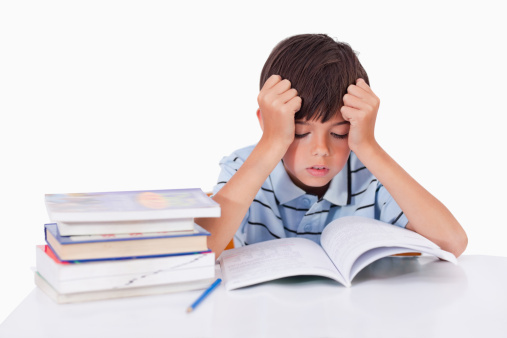 Moderate amounts of pressure to keep grades up or to finish a school project can be motivating for children, and childhood is a time to learn how to manage stressful events in the future. However, if pressures from school, parents or coaches are causing your child to lose sleep or suffer fatigue, talk to your child and examine where the anxiety is coming from. Schedule Downtime. Balance schoolwork and other scheduled activities with time that allows your kids to relax. Schedule this time in to your calendar, and treat downtime with as much importance as you do other activities. If you show your kids that a healthy balance is important, they’ll tend to have the same attitude. Define Downtime. While you should allow kids to just play during downtime, consider making it a no-tech downtime. Video games, cell phones and television are not helping anyone’s anxiety. Get kids outside for unscheduled play, or if playing outside is not an option, provide board games, books and other tech-free activities. Learn Coping Skills. Examine how you yourself deal with anxiety and stress. Children imitate parents, and if your kids see that you are constantly stressed and anxious, they may be picking up on those feelings. Build good habits to deal with stress, and involve the whole family. Exercise is a great way to reduce anxiety, so try going on a walk together every night after dinner. Listen. Not all stress is bad, but if your child is facing too much pressure, sit down and examine activities can be limited or stopped. Children do need to learn to handle some stress, and there is a fine line between too little pressure and too much. However, stress takes a physical, mental and emotional toll, even on children. Perhaps this is a good time to think about what activities are truly necessary and beneficial to your children. For more ways to help kids reduce stress, consider taking a yoga class or consulting a health coach. KareBoost Health offers health coaching, yoga classes for kids, and many other services. Today, one in five kids between the ages of 6-19 suffers pediatric obesity. Pediatric Obesity has immediate and long-term effects on well-being and health. If you are looking to address childhood obesity, physical activity is key to developing a healthy weight. Today, we will discuss how yoga can be a healthy physical activity for children and teens. Many childhood athletic activities come in the form of team sports. However, team sports simply are not a good fit for every person. Movement should be enjoyable, and while many aspects of team sports are positive, the competition and peer pressure does not help everyone succeed. Yoga emphasizes an internal focus, as opposed to an external focus. Kids can learn to focus on how movement makes them feel, instead of on an external goal such as winning the competition. Contrary to popular belief, not all yoga classes are fast moving and athletic. There are many different types of yoga to explore. Many studios offer classes specifically for children and teens. Research different types of yoga and reach out to your local studio to find a good fit for your child. Most studios will be happy to answer your questions and help you find an appropriate class. Start out with gentle classes such as beginners’ yoga, restorative yoga and chair yoga. If you do not love the first class you try, do not be afraid to try a different type of class or even a different studio. Many people introduce their children to sports because of the benefits sports have off the field. Yoga also introduces many skills that can give your child tools they need to develop into a healthy adult. Yoga focuses more on internal feelings rather than external appearance, which can helps kids fight messages that skinny is the equivalent of healthy. Yoga is a practice that can be done without a lot of resources and without other people, which makes it a perfect activity that kids can continue into college and beyond. Most significantly, creating a safe space for your child to develop a rich internal life will serve them well throughout adolescence and adulthood. If your child struggles with pediatric obesity and you want to introduce them to yoga but you are not sure where to begin, KareBoost Health can help. We offer family yoga and yoga geared towards new students of all ages and sizes. New Year Resolutions: The beginning of the year can be a great time to set goals, but people often fall behind on unrealistic and unattainable goals. Today, we will discuss how SMART goals can help you stick to your resolutions without the usual frustration. A S.M.A.R.T. goal is a goal that is specific, measurable, attainable, relevant and time-framed. Here are 5 ideas for New Year Resolutions you can actually stick to. 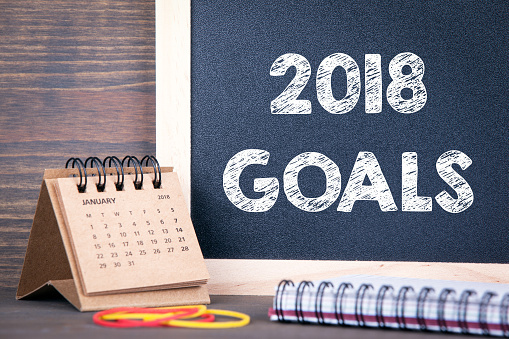 Specific New Year Resolutions: It is wonderful to start out with goals like “I would like to eat healthier” or “I would like to move more”, but defining what that means for you will make your goals more attainable. Narrow down your goal and be as clear as possible. A specific goal is “I will walk 30 minutes a day” or “I will eat 5 servings of fruits and vegetable a day”. Measurable New Year Resolutions : Set goals that are easily quantified. For example, instead of “exercise more”, try “instead of taking the elevator to my office, I will take the stairs”. Attainable New Year Resolutions : To set goals that are achievable, think about what is realistic with your schedule and life. If you are not a morning person, setting a goal to work out every morning at 5 am will probably not end up working for you. Be realistic, and set goals that fit in with your already existing lifestyle. Relevant New Year Resolutions : SMART goals work because they are relevant to your life. If dinner is usually a rushed affair, do not expect to stick to a goal that involves creating a three-course meal five days a week. Instead, if your goal is to eat healthier by controlling what goes into your meals, food prep on weekends and come up with 30 minute, one-pan meals that work on rushed weekdays. Time-framed New Year Resolutions : One of the biggest obstacles to healthy eating is time. Setting out sustainable goals in advance will help you to form a healthy eating plan. Planning and shopping for weekly meals in advance will help to prevent ordering a pizza when everyone is starving and there is no food in the house. Even with your S.M.A.R.T. goals in mind, know that challenges will arise. Be flexible and open to adjusting your goals as it becomes clear to you what is working and what is not. Consider working with one of our Health Coach. A Health Coach can help you to identify your resolutions, set realistic goals, and support you in your new healthy habits.